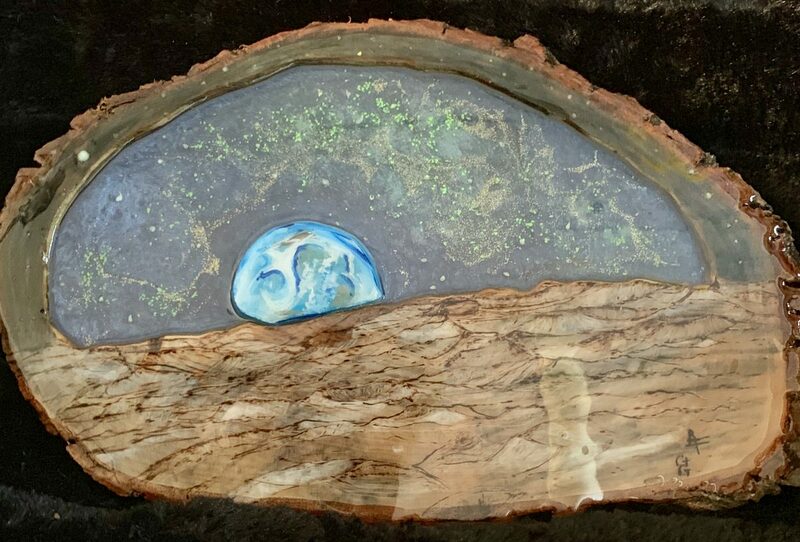 Bass wood, pyrography, epoxy resin, acrylic paint, phosphorescence. A new spin on the photo Earth Rise. This artwork is copyright © Angela Foster. All rights reserved.